WOW…This bag of Leeks had 4 which were almost as long as my arm … or as you can see… as long as my ankle-to-calf-to lower thigh in length…. really wild! I happen to be having a bowl of leek and sweet potato soup as I write 🙂 …How did I discover this photographed leek-y wonder?! Well…. letting my body rest has it privileges it seems! I was letting myself take a breather after months of go-go-GOing and figure I would shop a bit online to check out what is healthy and convenient. 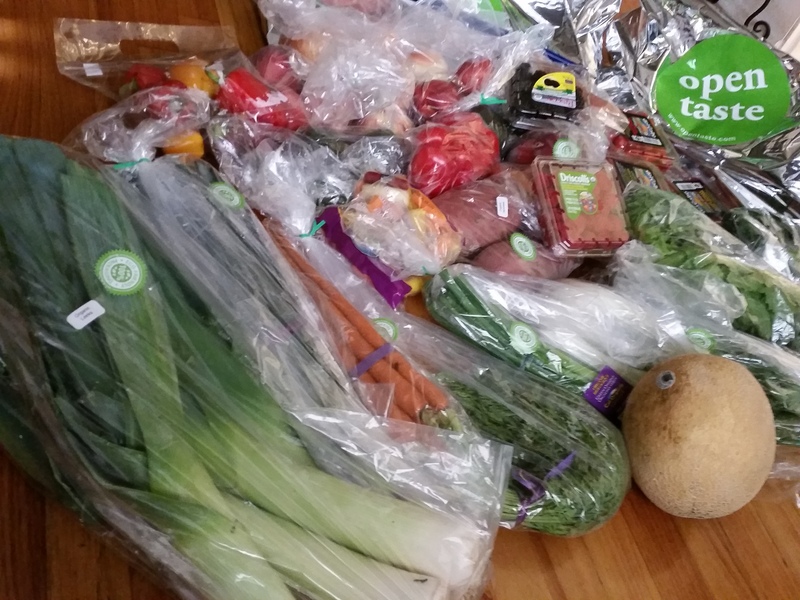 I found a new online ordering, produce, and miscellaneous grocery delivery service and tried it out! I loved that I could get most of what I wanted to try the next day or same day, but decided to go for 2 days from ordering so i could try bunches of produce… and I mean BIG BUNCHES!!! My list was long, but what I received via drop off at my front door blew me away… I believe it was the organic farm sampler box for 29 dollars that brought my bounty to overflowing!!! I was not sure if I would like their products because I love grocery and farmers market shopping and the entire process of handpicking my own goodies while getting to know the people behind the produce, but I did! some of the leaves in my poorly lit photo look yellowish, but they were not really so much…! 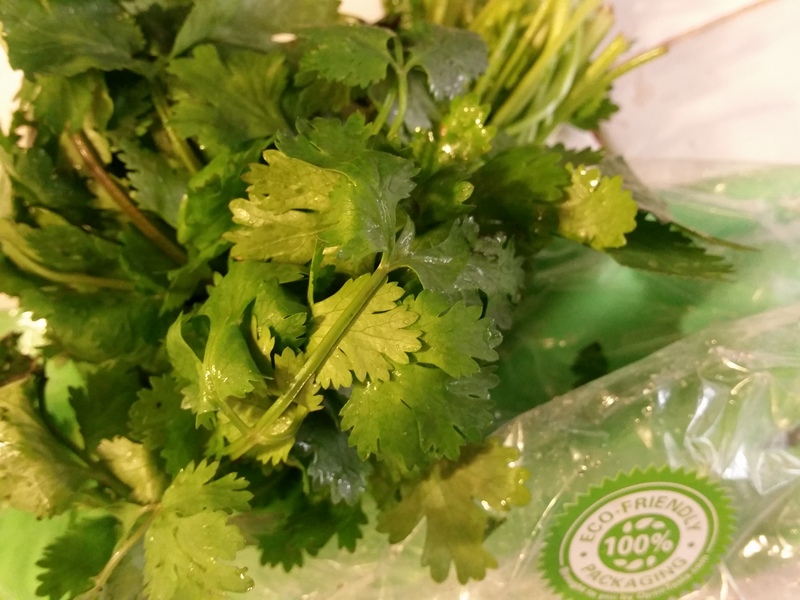 Gosh, the asian sweet potatoes are also humongous and the cilantro is so fresh, it filled my kitchen with its peculiar fragrant scent… Love that! The fruits and tomatoes will hangout with my avocados to ripen and soften, so I will be happy happier in a just a couple days 🙂 The cantaloupe however, was super ripe and large.. and less than $2. YAY! Oh.. and there is an incentive for you and me… if you use this code, you get $15 off your next purchase and I get $5. I love bargain shopping! Thanks http://www.opentaste.com for the successful shopping experience!